European delivery. One of 272 cars produced and the first ever GT supercar built by Ferrari. This particular example is finished in red with black leather to the interior. 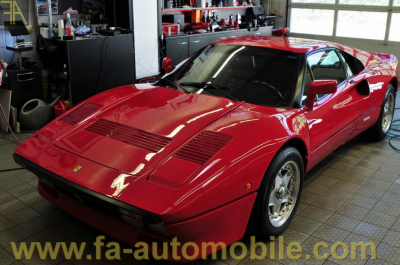 Very handsome original condiiton, one owner car and coming with full set of original books, tools and service records. Original paint / interior, freshly serviced and available immediately. European registered. Full dossier upon request, principals only.